Of all the challenges that come with a diagnosis of autism spectrum disorder (ASD), the social difficulties are among the most devastating. Currently, there is no treatment for this primary symptom of ASD. New research at the University at Buffalo reveals the first evidence that it may be possible to use a single compound to alleviate the behavioral symptoms by targeting sets of genes involved in the disease. The research, published today in Nature Neuroscience, demonstrated that brief treatment with a very low dose of romidepsin, a Food and Drug Administration-approved anti-cancer drug, restored social deficits in animal models of autism in a sustained fashion. The three-day treatment reversed social deficits in mice deficient in a gene called Shank 3, an important risk factor for ASD. This effect lasted for three weeks, spanning the juvenile to late adolescent period, a critical developmental stage for social and communication skills. That is equivalent to several years in humans, suggesting the effects of a similar treatment could potentially be long-lasting, the researchers say. 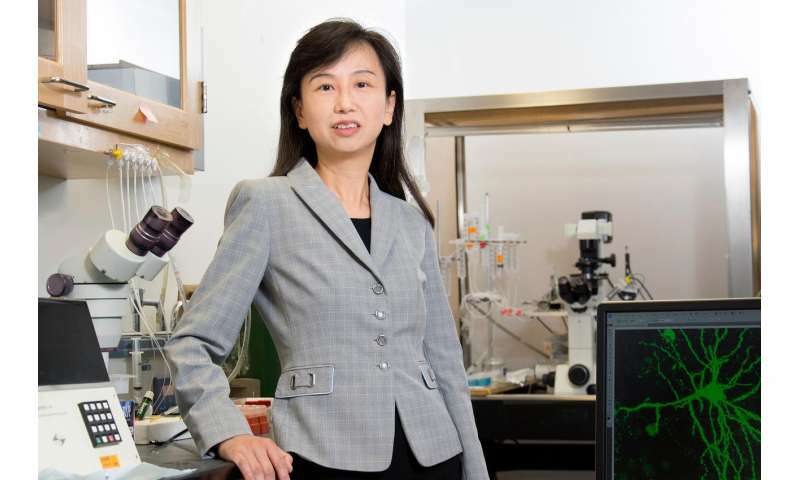 “We have discovered a small molecule compound that shows a profound and prolonged effect on autism-like social deficits without obvious side effects, while many currently used compounds for treating a variety of psychiatric diseases have failed to exhibit the therapeutic efficacy for this core symptom of autism,” said Zhen Yan, PhD, professor in the Department of Physiology and Biophysics in the Jacobs School of Medicine and Biomedical Sciences at UB, and senior author on the paper. The study builds on her previous research from 2015. That work revealed how the loss of Shank 3 disrupts neuronal communications by affecting the function of the NMDA (n-methyl-D-aspartate) receptor, a critical player in regulating cognition and emotion, leading to deficits in social preference that are common in ASD. In the new research, the UB scientists found they could reverse those social deficits with a very low dose of romidepsin, which, they found, restores gene expression and function using an epigenetic mechanism, where gene changes are caused by influences other than DNA sequences. Yan noted that human genetics studies have suggested that epigenetic abnormalities likely play a major role in ASD. To pursue these promising findings, Yan has founded a startup company called ASDDR, which was awarded a Small Business Technology Transfer grant from the National Institutes of Health last summer for more than $770,000. Many of the mutations in ASD, Yan explained, result from chromatin remodeling factors, which are involved in dynamically changing the structure of chromatin, the complex of genetic material in the cell nucleus that condenses into chromosomes. “The extensive overlap in risk genes for autism and cancer, many of which are chromatin remodeling factors, supports the idea of repurposing epigenetic drugs used in cancer treatment as targeted treatments for autism,” said Yan. She and her colleagues knew that chromatin regulators—which control how genetic material gains access to a cell’s transcriptional machinery—were key to treating the social deficits in ASD, but the challenge was to know how to affect key risk factors at once. To do so, the team turned to a type of chromatin remodeler called histone modifiers. They modify proteins called histones that help organize genetic material in the nucleus so gene expression can be regulated. Since many genes are altered in autism, the UB scientists knew a histone modifier might be effective. In particular, they were interested in histone deacetylase (HDAC), a family of histone modifiers that are critically involved in the remodeling of chromatin structure and the transcriptional regulation of targeted genes. But the anti-cancer drug romidepsin, a highly potent HDAC inhibitor, turned down the effects of HDAC2, allowing genes involved in neuronal signaling to be expressed normally. “The HDAC inhibitor loosens up the densely packed chromatin so that the transcriptional machinery gains access to the promoter area of the genes; thus they can be expressed,” Yan said. The rescue effect on gene expression was widespread. When Yan and her co-authors conducted genome-wide screening at the Genomics and Bioinformatics Core at UB’s New York State Center of Excellence in Bioinformatics and Life Sciences, they found that romidepsin restored the majority of the more than 200 genes that were suppressed in the autism animal model they used. “The advantage of being able to adjust a set of genes identified as key autism risk factors may explain the strong and long-lasting efficacy of this therapeutic agent for autism.” Yan explained. She and her colleagues will continue their focus on discovering and developing better therapeutic agents for autism.